It is common practice nowadays to have multiple websites hosted on one server with the same IP address. In such cases, both the client and the server need to support the Server Name Indication (SNI) technology to request and receive the matching certificate issued for the domain. SNI relies on the client sending the ServerName header during the SSL handshake, which means it is essential for the client to support SNI. While most modern applications are configured to work with SNI, supporting older/legacy clients will require additional configuration. 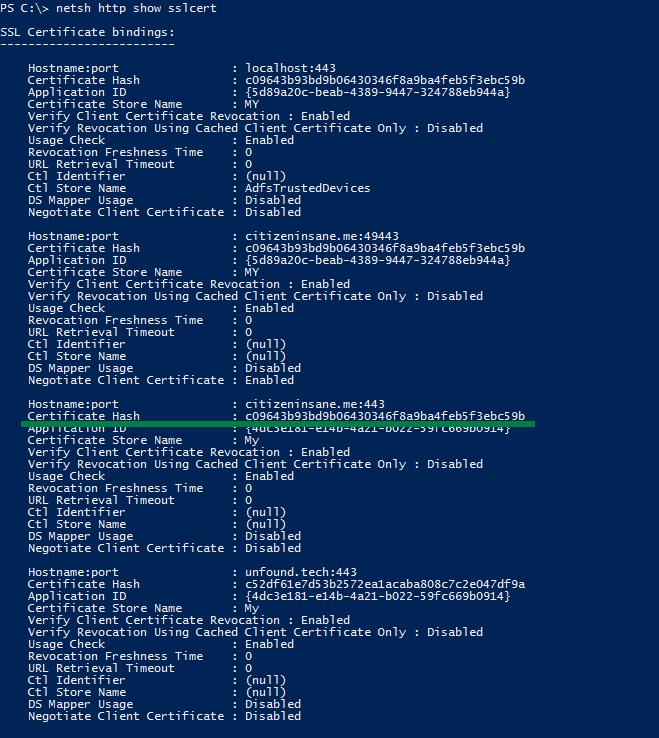 This article will cover supporting non-SNI compatible clients on Windows Server. Note: The list of browsers that support SNI can be found here. 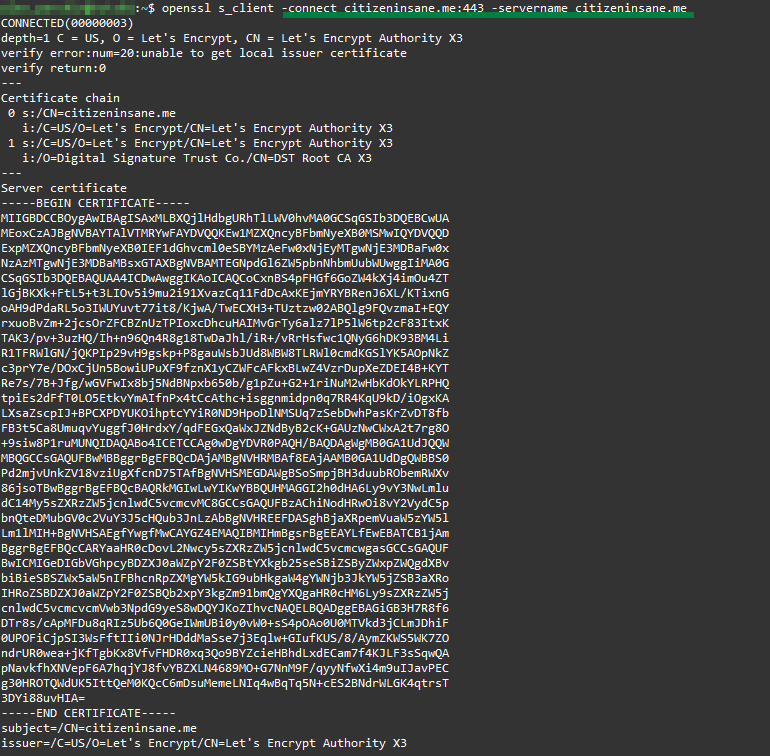 For such SNI bindings the ServerName header will be expected by the server. 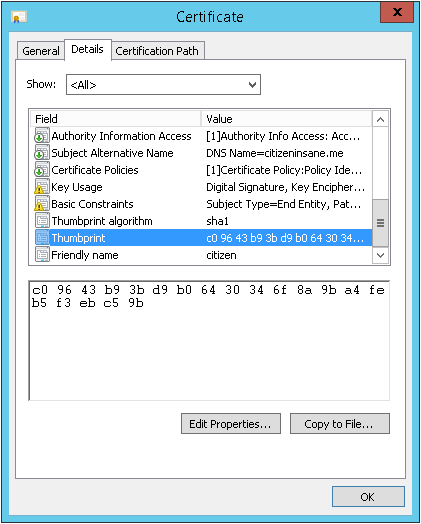 If a non-SNI capable client attempts HTTPS connection, the server will not receive the ServerName header and will not send the certificate. This will result in an SSL handshake error, and hence, HTTPS connection will not be established. 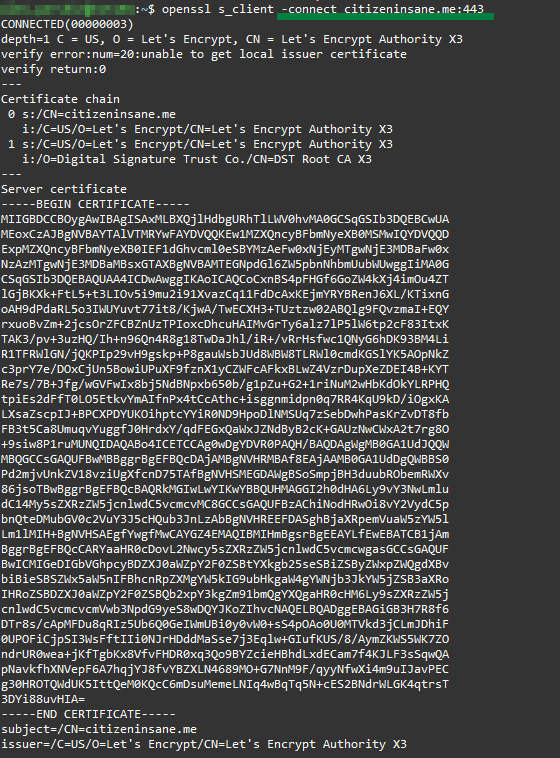 Solution: A manual certificate binding for 0.0.0.0:443 can be created, which will be used as a fallback certificate for HTTPS connections when no ServerName header was sent by the client. 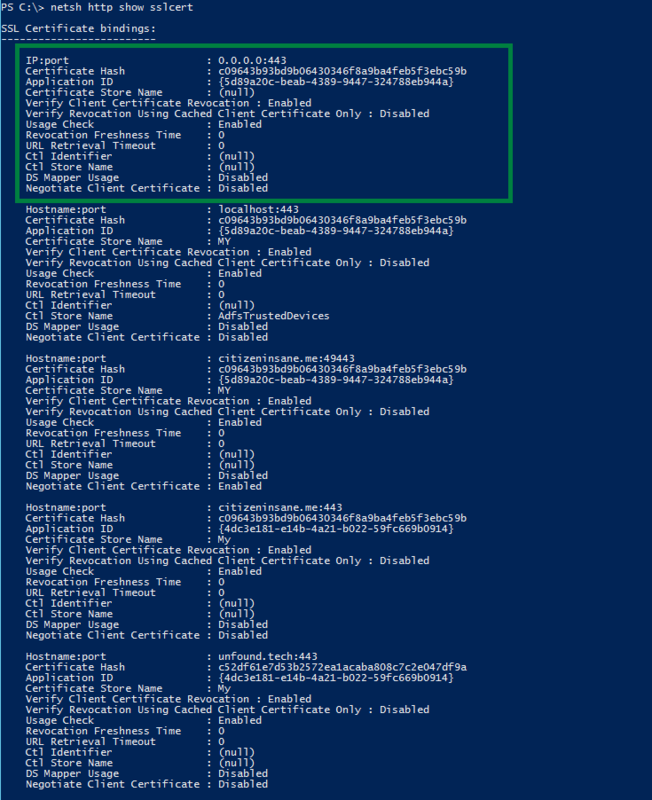 It is possible to configure only one fallback certificate per port. Note: You will need to be logged in as Administrator to run the command. If only one website is hosted on the IP address, it is not necessary to configure a fallback certificate. Instead, the Require Server Name Indication option can be switched off when creating the binding. 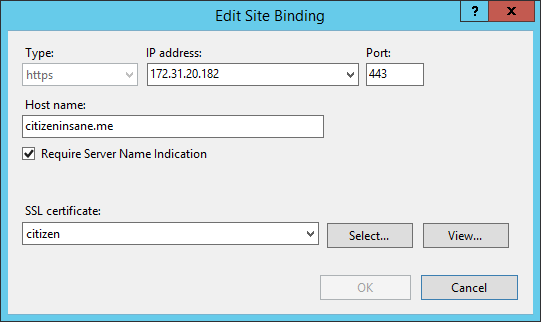 For IIS versions prior to 8.0 bindings can be created only for IP addresses (one binding per IP address). If multiple websites need to be configured to support non-SNI capable clients, please consider using a Multi-Domain certificate for fallback.